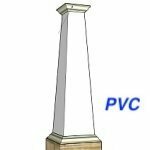 Elite Trimworks offers an extensive line of Quick Ship or custom made PVC Column Wraps. Finding the right column to fit the specific architectural order or style that you are looking for has never been easier. 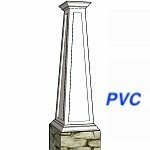 These columns come with instructions and are easy to install for the homeowner or contractor. We even include the glue, tape and mounting hardware. 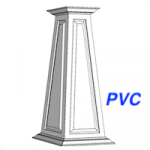 Any of our tapered PVC columns can be fitted with a Georgian, Box or Craftsman or even a Tuscan Capital and Base.